It has been a month with Optik TV, High Speed and Telephone service from Telus and I’m still as happy as I was when everything was hooked up. The honeymoon phase is over now and so to begins my first month of paying for the services. We are becoming accustomed to having TV again. I went from banishing cable all together to having all the channels and I like it. There are some shows that aren’t worth the effort of finding online and that’s where the benefit of having the full program grid of channels comes in. When our trial of all the channels ends we will likely purchase the Lifestyle package, because HGTV and Food Network are just too enjoyable to live without. I am still waiting for the HD receiver to be upgraded to have the ability to pause live TV, a feature that is currently limited to the HD PVR. At the time of installation in February I was told that this would be enabled with a firmware upgrade shortly but for now I wait. There were some feature updates to the HD PVR where the previous channels are displayed in the lower right corner of the screen. The firmware update is seamless, and if it wasn’t for any visual improvements I wouldn’t have known there was a change. One thing I would like to see added is the way to mark a show as watched on the PVR. We are in the habit of stock piling shows for a lazy weekend and if we aren’t diligent on deleting them after watching it can be hard to know what we’ve seen and haven’t. If you watched a recorded show, stop before the end and go back to your list of Recorded TV you have the option to resume from where you left off. This tells me there is the capability of knowing what you watched and it would be great if that could be transitioned into a visual indicator. Even if it was something as simple as having a green dot beside a recording you haven’t seen yet would be a huge benefit. Because we delete shows as we watch them it’s not an immediate concern, but it would be nice to have a way to see how much space is left on the PVR. Nothing worth mentioning for telephone service. It works. It makes calls. It sends calls. We always look for the caller ID to appear in the top left corner of the television if the phone rings, and as Murphy’s Law would have it, we rarely get calls to experience this little feature. I have had no problems with the Optik High Speed connection over the last month. 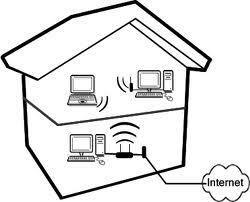 It has remained reliable with consistent download speeds. The Internet is the most crucial service from Telus and, thankfully, it hasn’t given me any issues or doubts on my switch from Shaw. The problem I’ve been working on since the network upgrade was the signal strength of the Actiontec V1000H from the basement to the living room. I upgraded my home server to a Gigabit ethernet card and that helped the speed of wired connections to transmit data but it didn’t resolve the buffering when I was streaming content wirelessly to the upstairs Playstation 3. Looking on the Playstation Media Server forums there are several suggestions to improve performance but I felt it was the Actiontec V1000H that was at fault for not delivering a strong signal strength in the house. To remedy this I repurposed my DD-WRT powered Linksys to a room above the Actiontec router and used it as a Repeater Bridge. The last time I tried to create a Repeater Bridge I was unsuccessful, but perseverance has paid off as it worked this time and my network has benefited because of it. 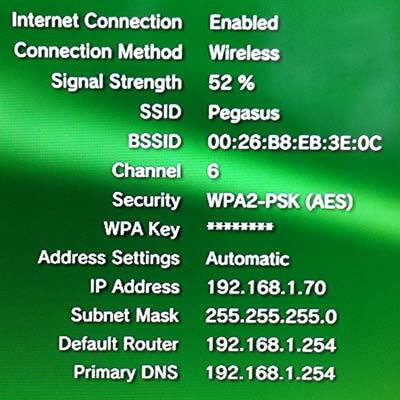 The Playstation 3 went from 45-50% signal strength to 75-80%. Playstation Media Server still detected an estimated transfer speed of 5MB/s, but at least now I was able to stream SD and HD content without the need for buffering. 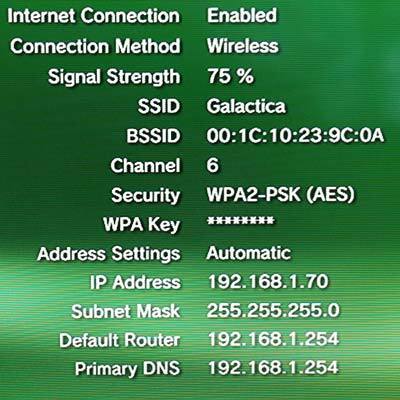 As an added bonus, I now have Galactica and Pegasus as SSID’s at home.